Fusing flamenco with elements of jazz, classical, rock and soul music, the Juanito Pascual New Flamenco Trio brings an impassioned sound to Blues Alley on Monday, November 24 with shows at 8:00PM and 10:00PM. Virtuoso guitarist and composer Juanito Pascual has been called by National Public Radio "one of the hottest flamenco guitarists in recent years." The Boston Globe named him “a rising star of the Spanish guitar form.” The accolades are just a jumping off point for the Minneapolis native whose musical style is an organic blend of traditional and contemporary flamenco, with influences ranging from Jimi Hendrix and the Grateful Dead to Miles Davis and J.S. Bach. Juanito Pascual New Flamenco Trio also features Grammy-nominated percussionist Tupac Mantilla (Julian Lage, Bobby McFerrin, Bob Moses) and bassist Brad Barrett (Jason Moran, Ran Blake). The combination of their distinct musical backgrounds and powerful personal chemistry creates an exhilarating sound that leaves audiences spellbound. Since the 2003 release of his debut solo recording Cosas en Comun, Pascual has toured internationally. He has played the Tanglewood Jazz Festival, Lincoln Center and Blue Note in New York, the Panama Jazz Festival and Madrid's renowned Casa Patas. He has performed with top flamenco artists from Spain and the U.S. and collaborated with diverse artists such as Grammy Award-winning soprano Dawn Upshaw, bassist John Patitucci, pianist Danilo Perez, percussionist Jamey Haddad and virtuoso guitarist Grisha Goryachev. The Trio is his latest project. Juanito Pascal New Flamenco Trio released their debut CD to critical acclaim in February 2014 aided by multi-Grammy winning sound engineer Rob Griffin. Titled simply Juanito Pascual New Flamenco Trio, it incorporates a colorful mix of genres including a tender treatment of George Harrison's "While My Guitar Gently Weeps." The concert will present much of that music. Pascual moved to Spain after high school and lived "on the streets" in order to study with the flamenco masters he idolized. Like the other Trio members, he is a graduate of New England Conservatory. Jazz guitarist Gene Bertoncini and classical guitar guru Eliot Fisk have also influenced him. Pascual has been heard on PRI and the BBC's “The World” and appeared in the 2009 film The Pink Panther with Steve Martin and Andy Garcia. He shares the beauty and soul-stirring power of this ancient and evolving musical style known as flamenco through performances, recordings and teaching. He is author of The Total Flamenco Guitarist method book published by Alfred Press. A busy clinician, he developed and teaches a summer course at New England Conservatory called "Unlocking the Art of Flamenco." 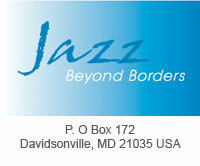 Blues Alley is located at 1073 Wisconsin Avenue in Georgetown. Shows are at 8:00 p.m. and 10:00 p.m. Admission is $20. To purchase tickets visit bluesalley.com (202-337-4141).